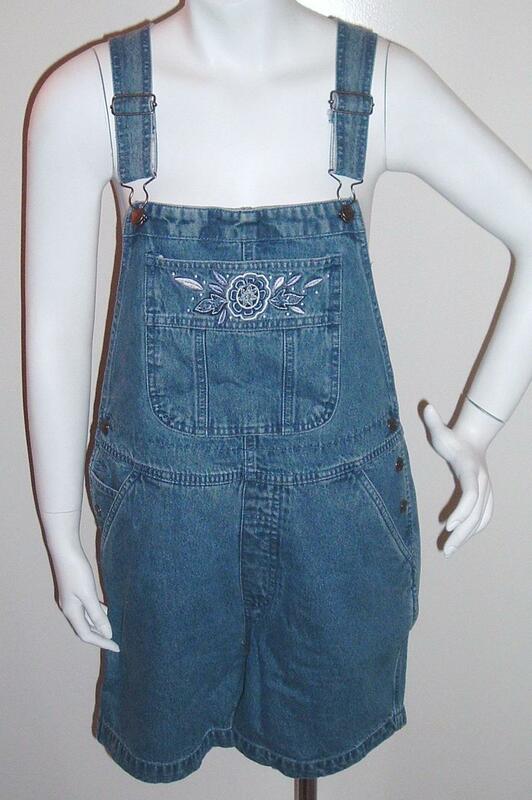 BRAND NEW WITHOUT TAGS Cherokee Bib Overalls Shorts Denim Blue Size S NWOT GREAT ANYTIME OF YEAR Bib Overall Shorts are a Blue Denim Jean color. 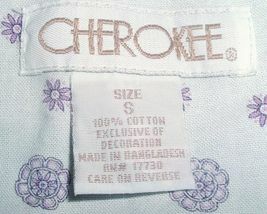 They have an open bib pocket with a beautiful embroidered flower design on the front of the pocket. 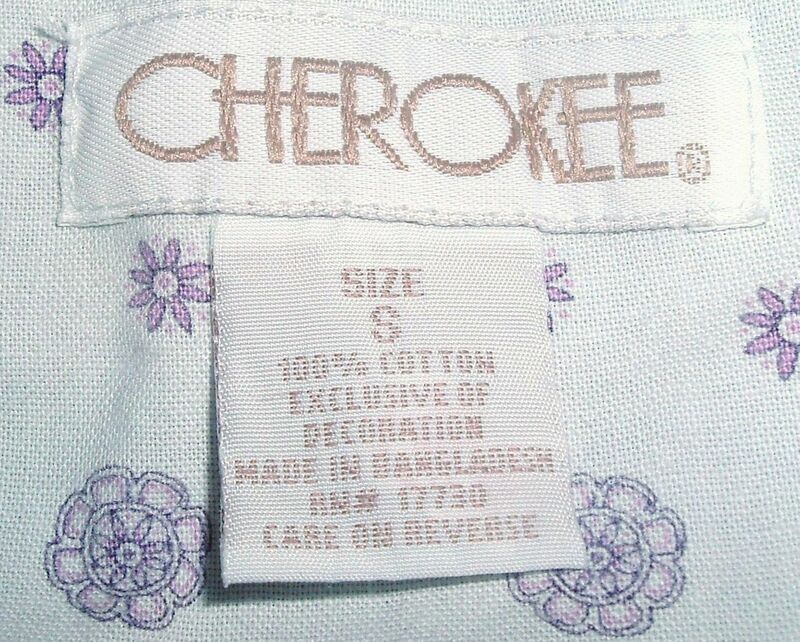 BRAND: Cherokee SIZE: Small MATERIAL: 100% Cotton CARE: Wash separately before wearing; machine wash cold with like colors; only non-chlorine bleach when needed; tumble dry low; warm iron as needed. 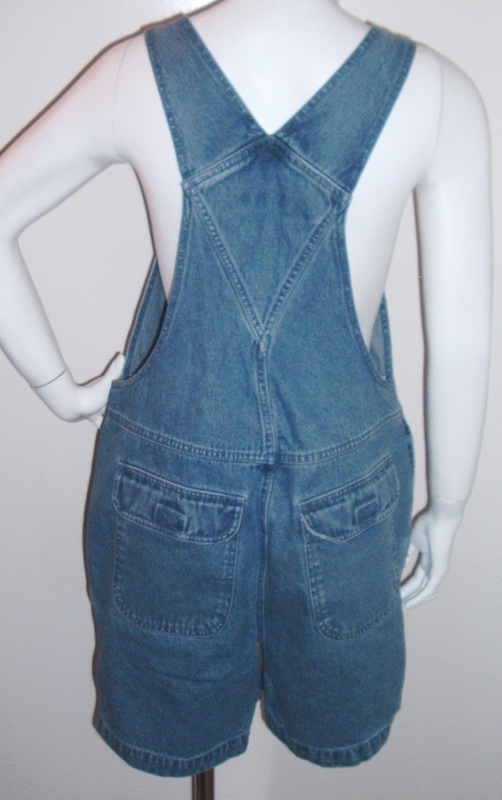 APPROXIMATE MEASUREMENTS: Waist: 34 inches Rise: 12.5 inches Inseam: 5 inches Length: Top of the bib to the bottom of the short is 26 inches. THANKS FOR HANGIN OUT! RETURN POLICY: Apologies, NO RETURNS on this item. Thank you. DOMESTIC SHIPPING: 6.95 Standard Mail (4 to 5 business days) COMBINED SHIPPING: Combined shipping discounts are deducted automatically. You may also take advantage of the BEST OFFER listings and make an offer. Thank you. Sales tax to CA residents applicable.